As a content marketing agency, we’re always looking for opportunities to help brands tell their stories in engaging and meaningful ways. As technology advances and new tools integrate in the marketplace, an interesting phenomenon occurs: The way we digest and experience content changes. Consider the news. Think about how we followed current events 20 years ago. We mainly relied on the Sunday newspaper or watched copious amounts of news coverage on TV. But consider how we follow current events now. Do you bookmark certain websites? Are you following publishers on social media? Do you subscribe to news outlets for email notifications? The point is that technological progression influences how we consume information. 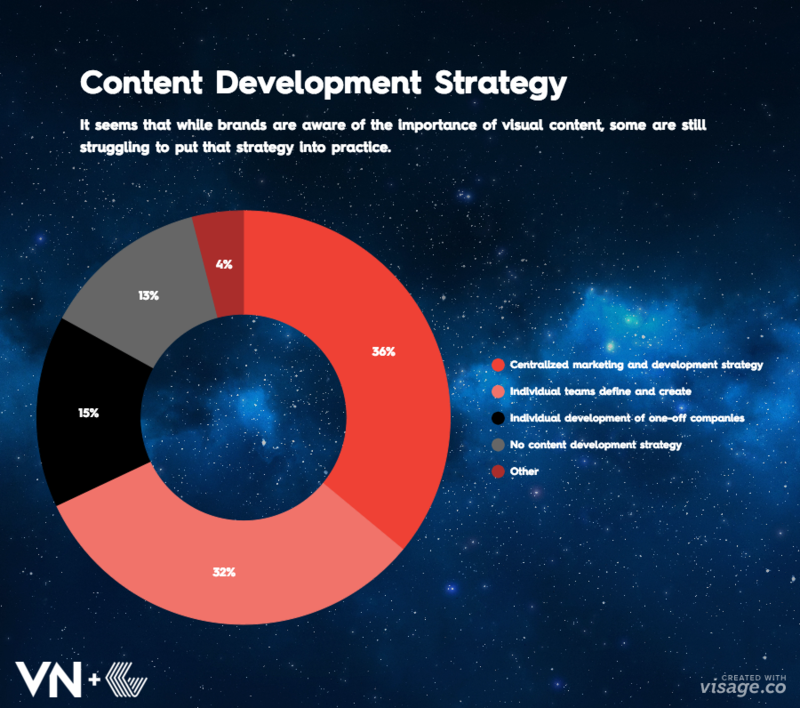 As content marketers, this is one of the biggest challenges we face. We could be producing great content that is specific to our target audience’s needs, but is it effective if our audience never sees it? Of course not. 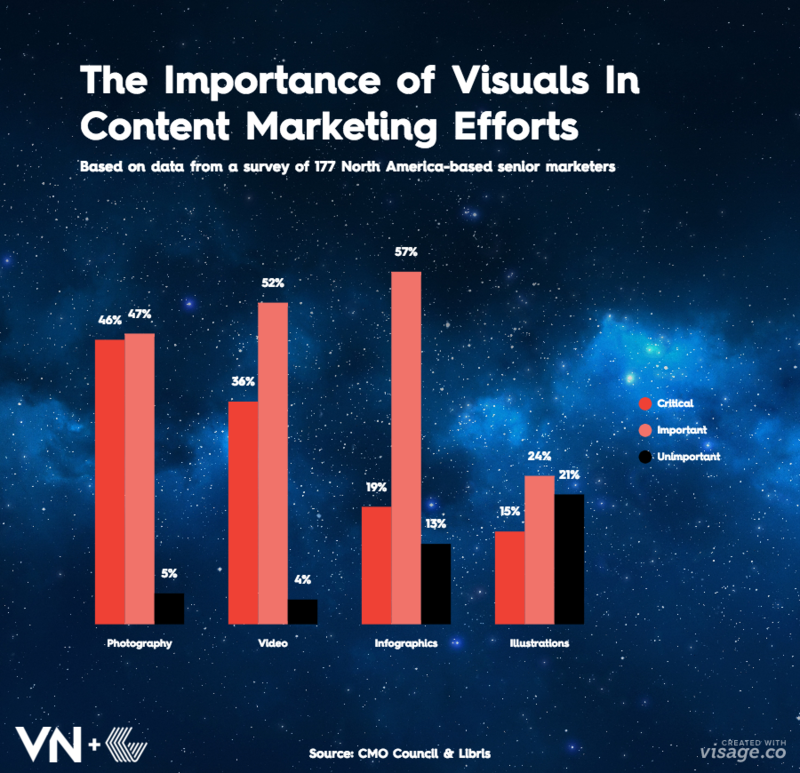 Recently, the CMO Council and Libris published a report on The Role of Visual Media in Impactful Brand Storytelling, based on a survey of 177 North American-based senior marketers to measure the value and effectiveness of visual media (infographics, video, photography, etc.) in telling brands’ stories. 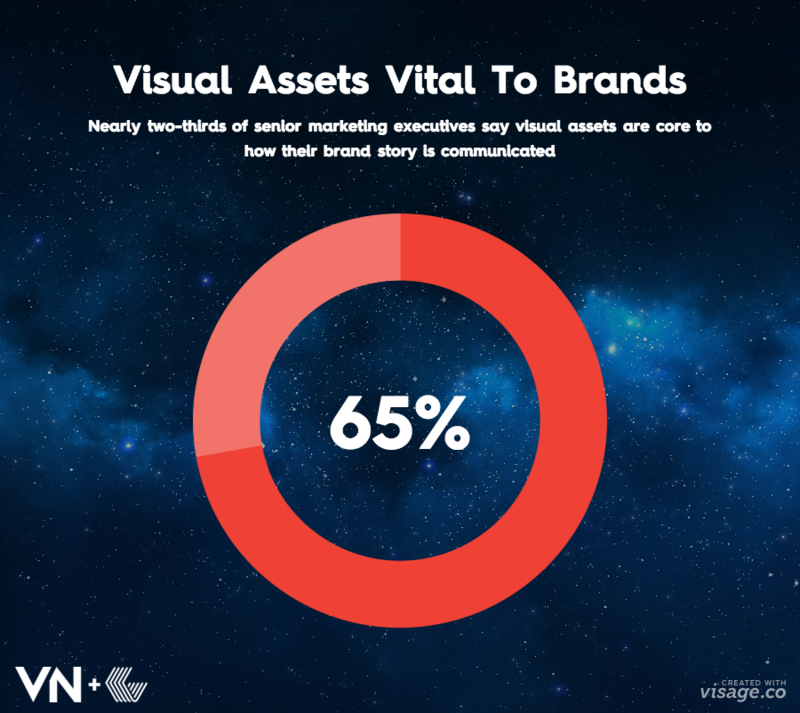 Nearly two-thirds (65%) of those surveyed say visual media is crucial to how they communicate their brand stories. 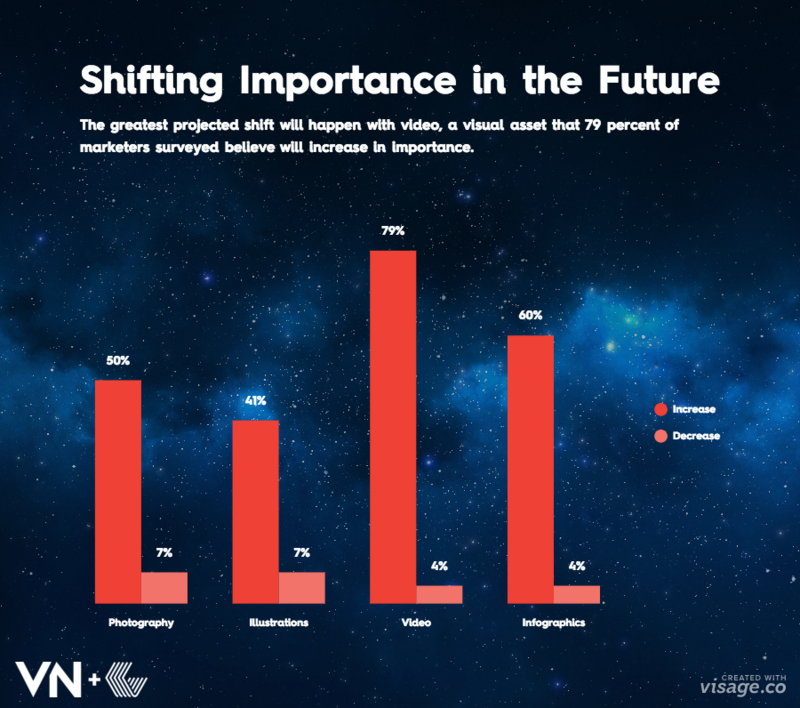 What’s even more interesting is that an overwhelming majority believe visual media will become more important in the future. According to the report, infographics and videos are the two most important forms of visual media to brand storytelling strategies. When done right, brands can use infographics and videos as incredibly powerful tools to distill complex information into a comprehensible piece of customer collateral. In terms of trends, video is very quickly and very obviously growing in popularity. News feeds now automatically play video without requiring a user’s action. More publishers are leading with video stories, and that’s partially due to the medium’s shareability. Watching video often requires less user time than reading through a story via a blog or news outlet. Still on the fence about the usefulness of branded videos? We’ve elaborate in more detail with 11 Reasons Why You Need An Online Video Strategy. When creating visual content, having dedicated production and distribution processes is incredibly important to avoid inefficiencies and ensure your team doesn’t spend unnecessary time looking for old files or trying to follow best practices. The sad truth, however, is that only 27% of the surveyed marketers have a process in place to aggregate, organize, and manage the visual assets they’re using company-wide. When it comes down to it, visual content creation and distribution can be a powerful tool for your brand to reach targeted customers—increasing brand exposure, establishing thought leadership, and even resulting in cost-effective lead generation. If you have any questions or thoughts about visual content marketing strategy, we’d love to talk.